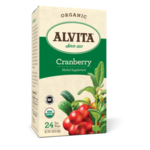 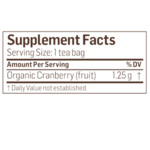 Alvita Cranberry Tea is made with premium-quality, organic cranberry fruit, and produces a rich ruby color with a tart fruity flavor and aroma. Native to North America, the hardy and tangy-tasting cranberry (Vaccinium macrocarpon) was a dietary mainstay for Native Americans and early American settlers long before it became a Thanksgiving table staple. 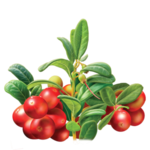 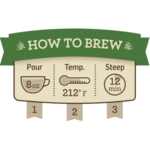 A popular ingredient in sauces, relishes and jellies, cranberry is also commonly brewed into a tea that is enjoyed by many for its numerous benefits and zesty, refreshing flavor.